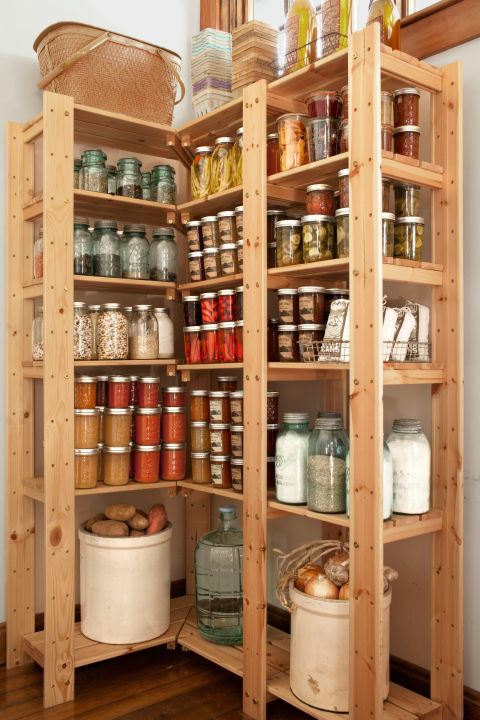 Looking for better ideas to organize your kitchen pantry? Or maybe there's a remodeling project on the horizon. 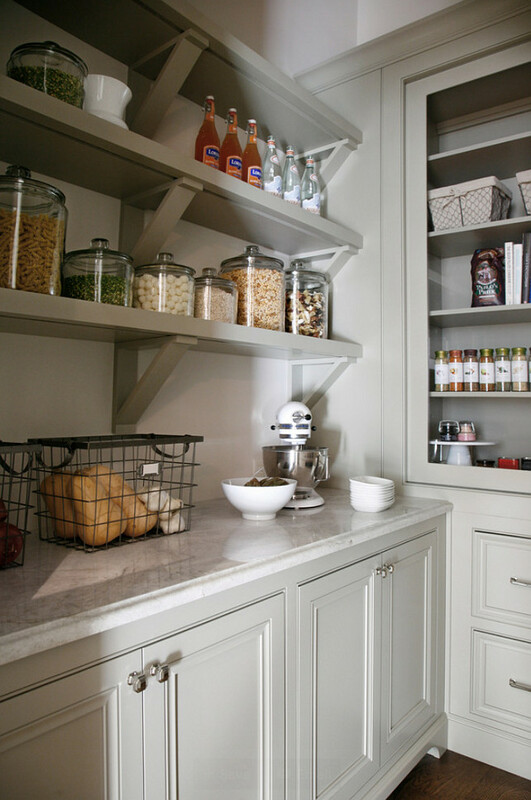 Whatever organizing decisions you have to make, start your kitchen pantry design by making a checklist of what you need and what works for you and your kitchen space to create a great, functional, well organized and fabulous pantry, and then get ready to be inspired. 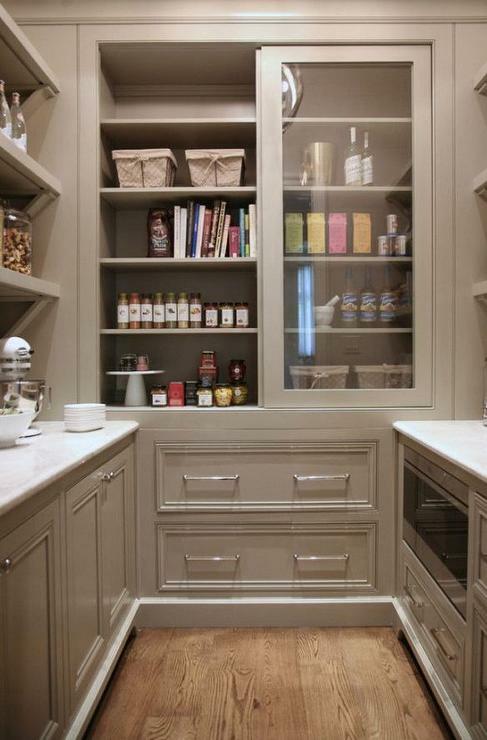 Here are 10 fabulous kitchen pantries worth copying! There is so much to love about this U-shaped walk-in pantry, beginning with the floor-to-ceiling subway tiled wall with stacked shelves accented with black iron corbels. 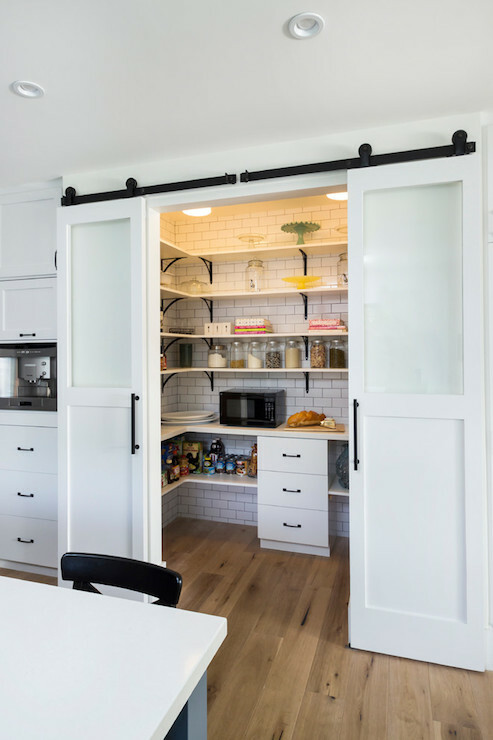 I love unique pantry doors and these sliding doors hung on barn door hardware with elongated door pulls fit the bill. Clark and Co Homes This is not a large pantry, but what I love about this L-shaped walk-in pantry is the wraparound counter, complete with outlet giving the owner additional working or baking space if needed. In addition to nice shelving the counter is finished with a tiled backsplash for a finished look. 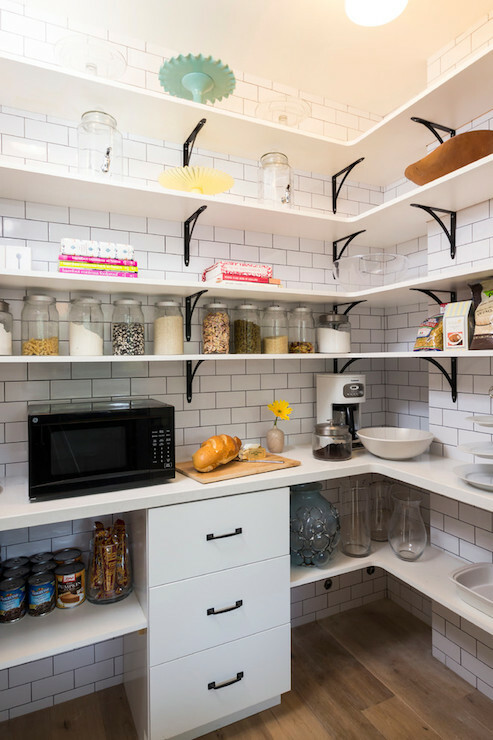 Does your pantry just need a makeover? Ditch the packaging and give your pantry a uniform look by transferring foods like cereal, sugar, flour and hand-held snacks out of their bulky cardboard packaging into clear jars or bins. Not only does it look uniform, it saves space and is clutter free. 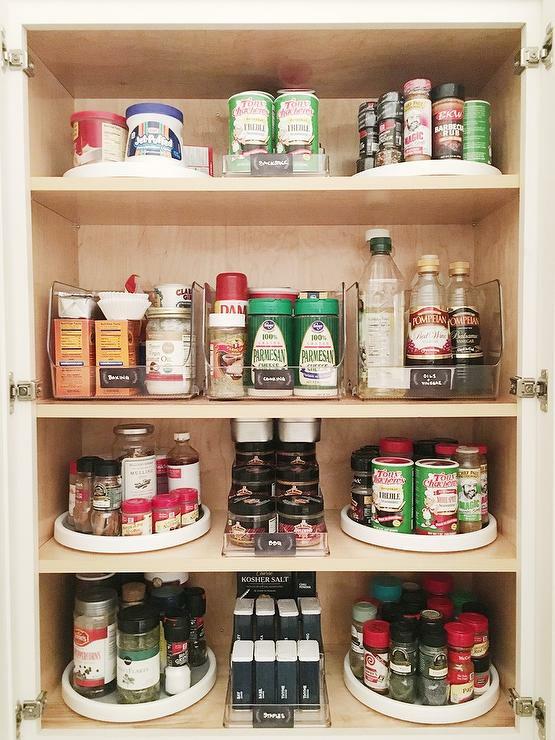 I love the idea of storing cook books and other kitchen-related materials in the pantry. 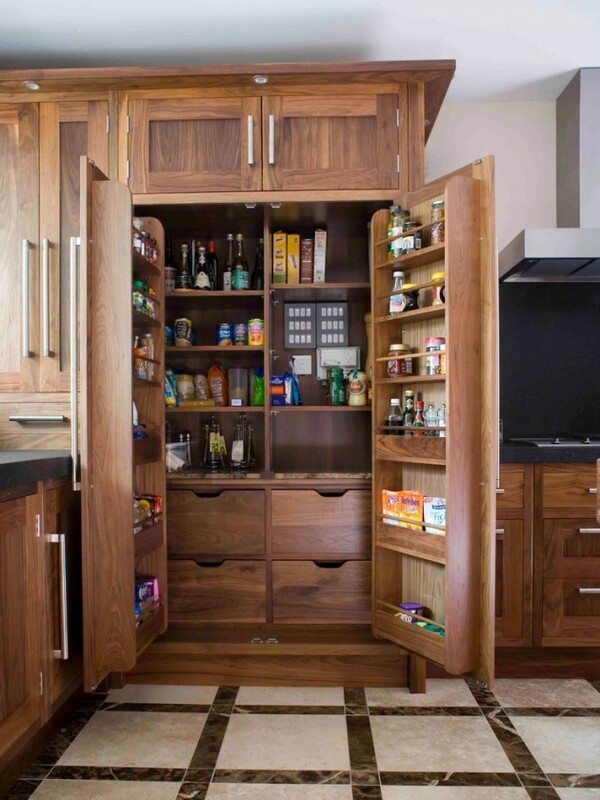 You may not have space for a walk-in pantry - no problem. Here kitchen cabinets open to a pantry filled with small lazy susans filled with spices and sauces as well as acrylic bins filled with condiments. 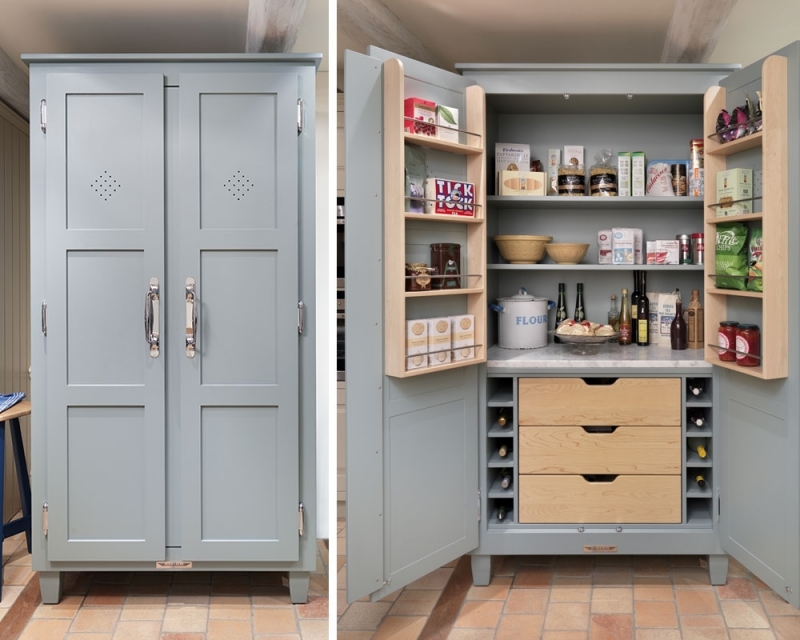 Double doors lined with spice shelves open to a kitchen pantry fitted with stacked shelves over pullout bread, biscuits and baking drawers. This amazing kitchen pantry features grey floating shelves suspended with corbels over gray cabinets painted in Benjamin Moore Fieldstone, paired with countertops in Taj Mahal Quartzite facing an under counter microwave. One of my favorite features is the cabinets accented with sliding glass doors. Have a spare corner? Six-foot-tall pine shelving units transform a corner into a pantry that maximizes space and holds dry goods, preserves and more. 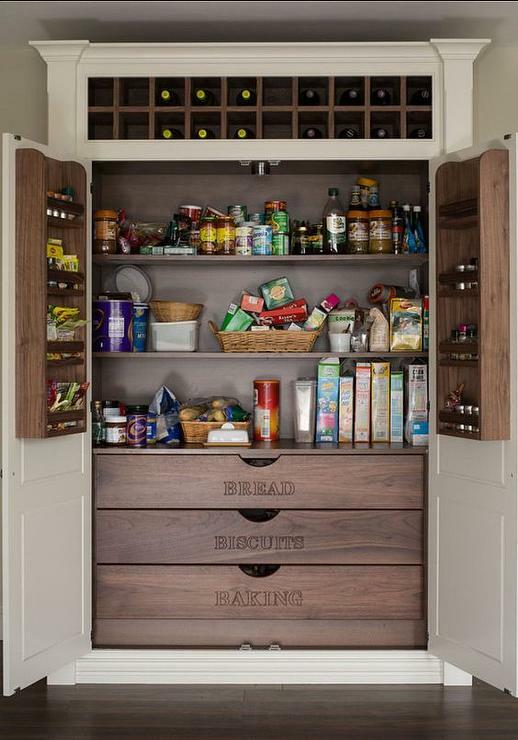 Wood-Mode Cabinetry Make the most efficient use of cabinet space and convert a base cabinet into a pantry. 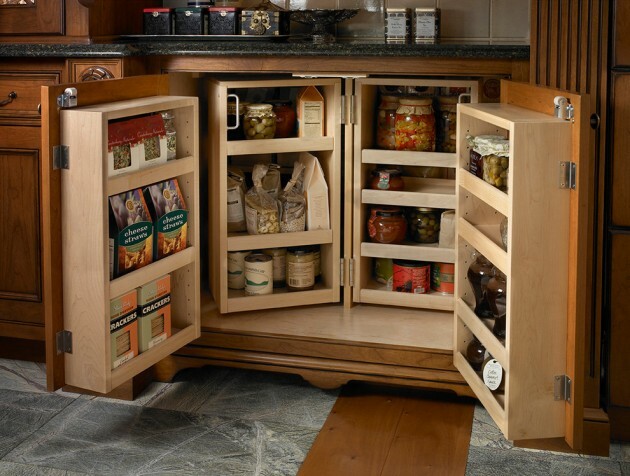 An alternative option is a free-standing pantry. Perhaps even an amoire could be converted. A free-standing pantry is convenient because you can move it; it's usually smaller and fills less space in the kitchen and allows you to take it with you if you move. But this option also has disadvantages, too. 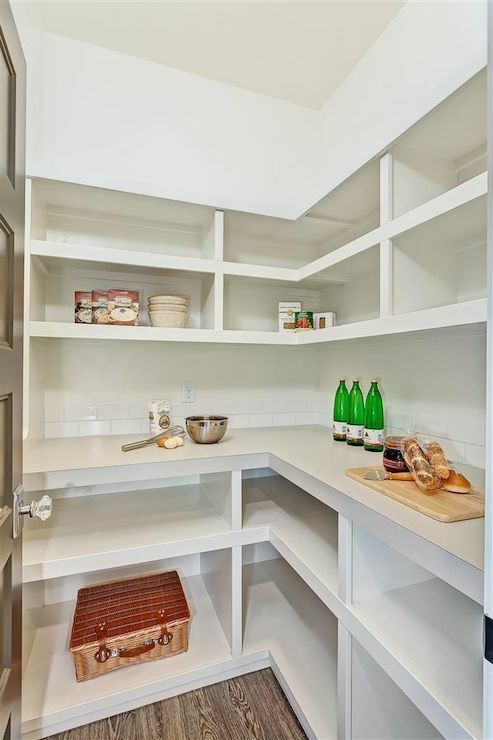 It isn't as spacious as a built-in pantry, and a free-standing cabinet is not as stable. Moylans Beautiful double wood doors with built-in shelves open to an all wood cabinet with storage shelves and drawers. 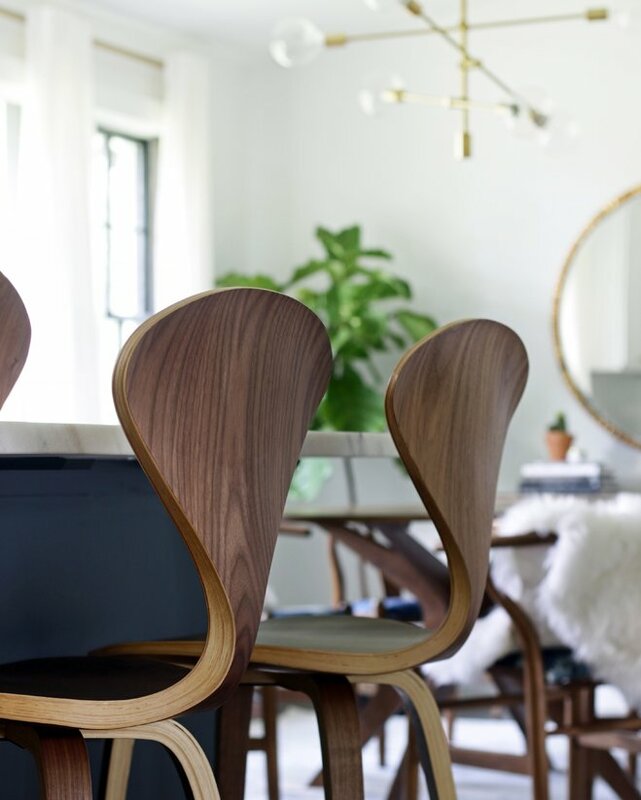 Gorgeous, lots of storage space, organized! 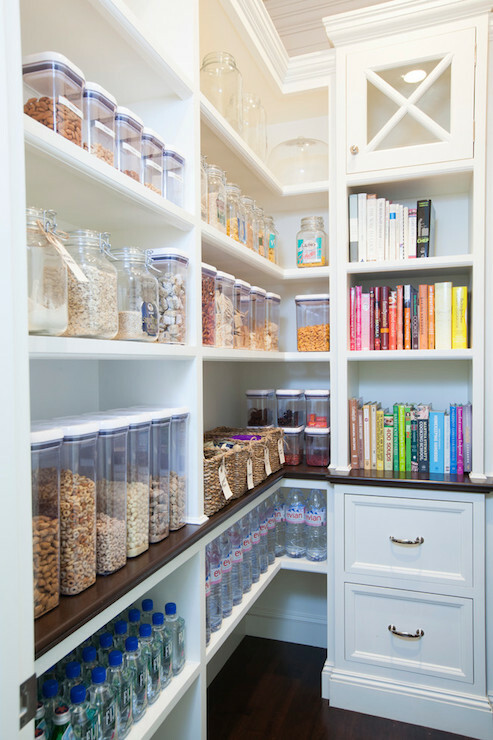 Whatever your pantry needs, these are great ideas worth copying!